« ENCODE (2012) vs. Comings (1972). Below is what I imagine the notes look like at ENCODE meetings, based on Ewan Birney’s comments on Twitter. “We are the most complex things we know about. It’s not surprising that the manual is huge,” says Birney. 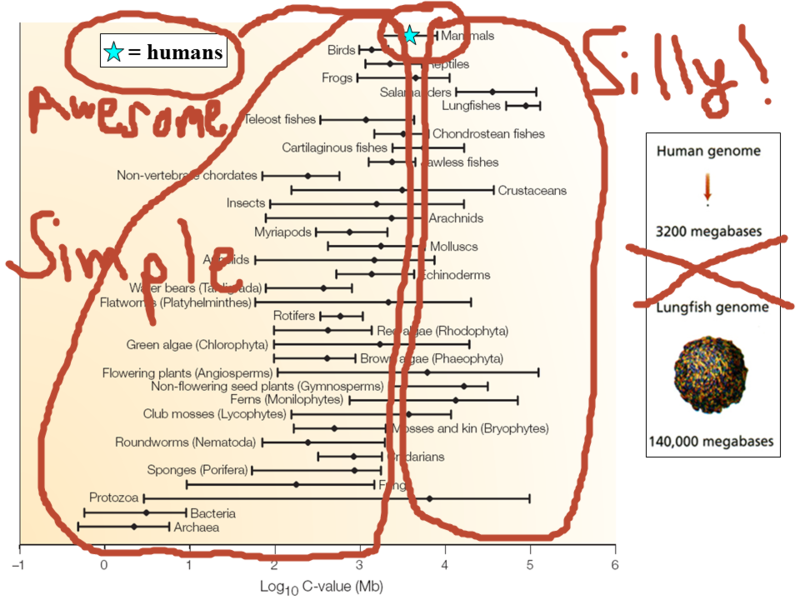 3 comments to The ENCODE view of genome size diversity: simple and silly. They seem to have missed the genomes of the angels and God off the top of their Scala Naturae. 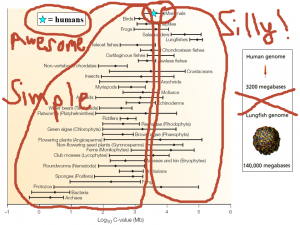 It also needs a helpful y-axis label to indicate that the pond slime at the bottom is primitive and the fluffy bunnies at the top are advanced. 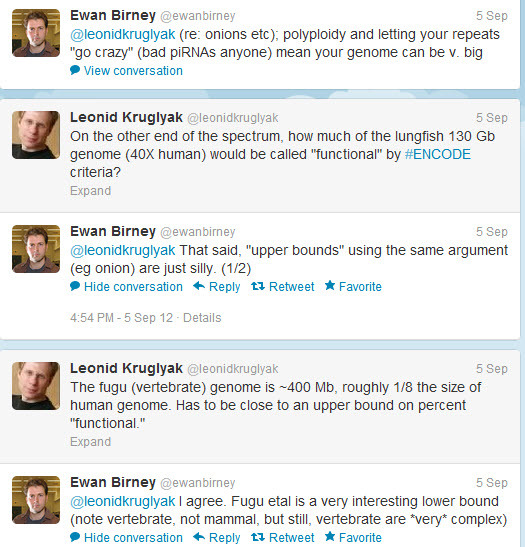 I just wish people like Birney who use the term “complexity” in biology had some concrete definition of it. There are real definitions of complexity (such as Kolmogorov complexity, the length of the shortest program than can generate the output in question), but I doubt that’s actually really what they mean. Thanks for the laugh. That figure is hilarious. I think something like it at the beginning of an undergraduate biology course might be a great way to mitigate some of the persistent anthropocentric views in biology.